Keertan (hymn singing) for Nelson Mandela’s health and wellbeing in the corridor outside his former prison cell (Robben Island off Cape Town Coast). Onlookers were heartened to see people of the Sikh Dharam praying for the good health of ‘Madiba’. Guru Nanak Nishkam Sewak Jatha (GNNSJ) mourned the loss of Nelson Mandela with the rest of the world. The former South African President and peace advocate passed away on 5th December 2013 at the age of 95 whilst mourning we also celebrate his life and enduring legacy. Nelson Mandela was a great leader who never wavered in his devotion to democracy, equality and learning. Despite terrible provocation, he never answered racism with racism. His life has been an inspiration to all who are oppressed and de­prived, to all who are opposed to oppression and deprivation. He promoted forgiveness and denounced revenge. GNNSJ has passionate links with the continent of Africa – the world’s second largest and second-most-populous continent with an estimated population of 1.033 billion (2011). The links include the founder of GNNSJ, Sant Baba Puran Singh Ji, spending 53 years of his life in Kenya – 49 of which were in Kericho Kenya; the establishment of the Gurudwara, Nishkam Sant Puran Singh Institute (college) and the support of medical / community services in Kenya; Bhai Sahib Bhai Mohinder Singh, Chairman of GNNSJ and Nishkam Civic Association (NCA) spent most of his professional career in Zambia working with the Government of Zambia and also built a Gurudwara there; the supporting of the building and opening of a Gurudwara in Botswana in 2012 and last but not least, a spiritual trip to South Africa. In December 2012 GNNSJ congregation members went to South Africa at the time when former President Nelson Mandela was admitted to a Pretoria military hospital for medical tests and prayed for his wellbeing. He was being treated for the recurrence of a lung infection. Despite his condition, it was reported by the current President Jacob Zuma that the 94 year old remained in good spirit and was inspired that the whole of South Africa and the world was thinking and praying for him. During the spiritually charged and inspired visit to South Africa, the congregation visited the former Robben Island prison where he had spent 18 of his 27 years in prison. 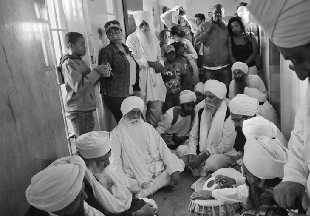 Bhai Sahib Bhai Mohinder Singh, commented at the time, “December is a month of reconciliation and remembrance for South Africans. I am person­ally working on a charter for forgiveness. There exists a charter for compassion by Karen Armstrong; I have felt the need for forgive­ness all my life”. Quoting from Guru Granth Sahib Ji, “KabirJi: where there is wisdom and knowledge there is Dharam or Religion; Where there are lies and deceit there is sin; Where there is greed, there is famine death and destruction; Where there is forgiveness there is God himself. That to me is what was practiced in South Africa at state level”. Bhai Sahib Mohinder Singh felt compelled and duty bound to attend the funeral of the great man. 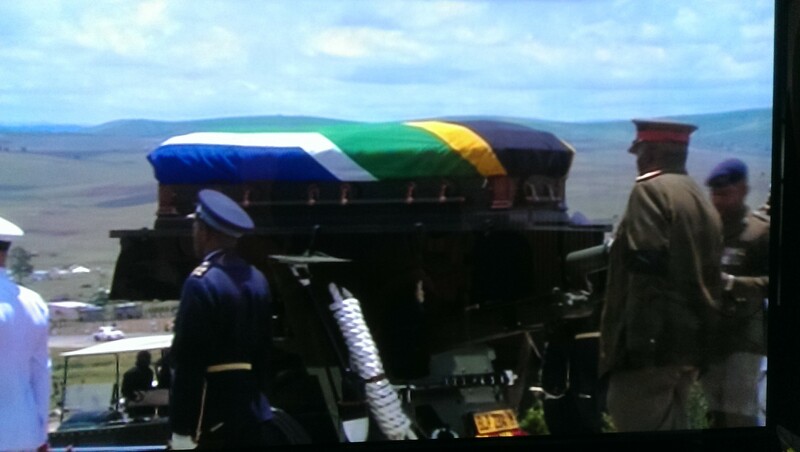 Hearing the news whilst on a trip to India, he embarked on a marathon journey to South Africa to pay his last respects. He commented on hearing about Madiba, “Service to humanity comes in many disguises and in many forms. I salute the great son of Africa, Nelson Mandela for the service he provided to humanity”. 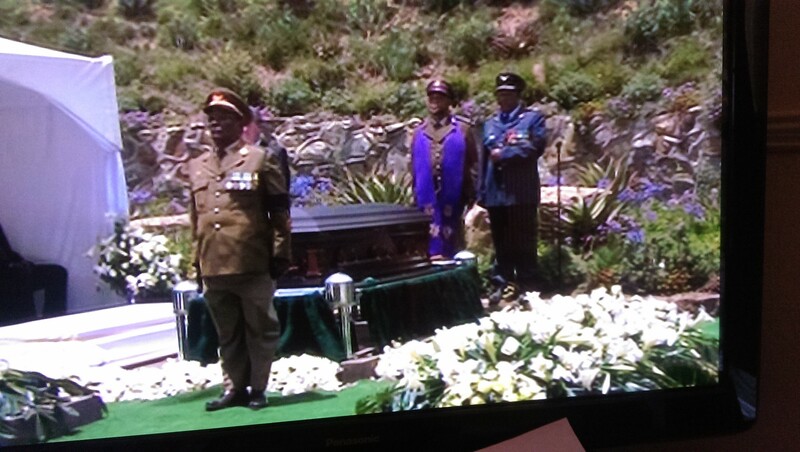 Madiba died at his home in Johannesburg on 5 December 2013 at the age of 95. He will be missed by many people all around the world. The service was a great accolade to him and a fantastic send-off. Our thoughts and prayers go out to his family and the world at large – which was his family.